Our comprehensive one-day certification course covers the wine region of Rioja, its grapes, wine styles, terroir, regulations, trade structures, gastronomy, and history. You will learn all about the flavor and aroma profiles of Rioja wines and how they evolve as the wine ages. We will cover in depth the differences between the modern styles and the more traditional wines coming from the region, and the move to terroir-focused wines. By the end of the course, you will have expert insight into what makes Rioja unique among the world’s most respected global wine regions. 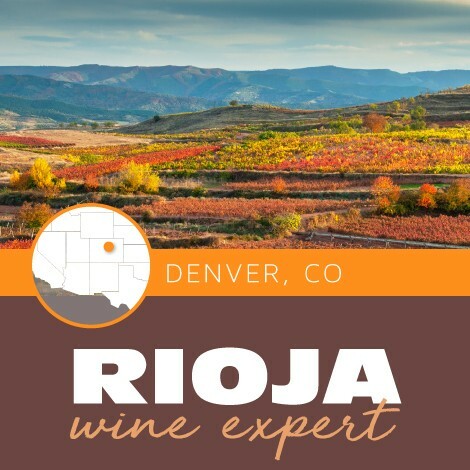 To earn the certification of Rioja Wine Expert, students must complete the course and take the optional one-hour online exam within 6-weeks of course completion. The Spanish wine region of Rioja has a wine culture dating back to the Phoenicians and Celtic tribes and built a reputation in the Middle Ages as a stop on the Camino de Santiago de Compostela pilgrimage route. Rioja is known traditionally for a wine style of extended oak aging, for its noble grape Tempranillo, and for holding wines back until they are ready for consumption. The wines produced now are a mix of classic and modern. The beauty of these wines and the culture of the region is timeless and inspiring. Exam details: The course is followed by an online exam ( 30 multiple-choice, 20 short-answer, one essay-question. NO TASTING) One hour in length; given at a later date convenient to the student, within 6 weeks of taking the course.